The Random House Dictionary defines “leadership” as (1) “the position or function of a person who guides or directs a group”; or (2) “the ability to lead.” Though concise, this twofold definition of leadership is far from helpful. What does such a “function” or “ability” look like? Many have tried to answer this question. In fact, there have probably been as many different definitions of leadership as there are leaders in the world. From CEOs to political figures to college professors, everyone has thoughts about what it means to lead. These thoughts are shaped by their own experience. Yet is there a difference between ordinary leadership and leadership that can somehow be called godly? Do we who claim faith as part of our lives have a call to lead differently than others? Does God have an interest in how we lead those entrusted to our care? How does our experience of God shape how we lead? For Nehemiah, a Jewish leader from the fifth century BC, the answer to all of these questions would have most decidedly been yes! Nehemiah was not a person anyone would have expected to rise to leadership in ancient Jerusalem. As a cupbearer to the king in Persia, he had likely never even laid eyes on the home city of his people. Yet Nehemiah was called to return to Jerusalem to lead in the sacred task of rebuilding the city’s walls. 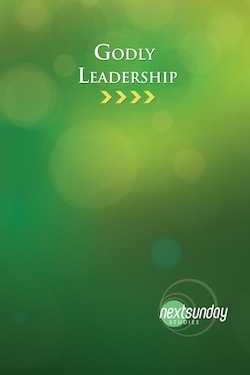 Displaying characteristics often lacking in secular leadership—prayerful humility, a willingness to work with diverse teams, wisdom in confronting conflict, and a passion to stand with the powerless— Nehemiah offered his people a portrait of godly leadership that can still shape our own calls to lead nearly 2,500 years later.